Montenegro is a sovereign state located in southeastern Europe. The name literally translates to Black Mountain. A part of its coast is along the Adriatic Sea while it also shares borders with several other countries including Croatia, Serbia, Albania and Bosnia and Herzegovina. Since 1918, Montenegro is known to be a part of Yugoslavia. However, on May 21, 2006 the country was declared independent from Yugoslavia. For anyone wishing to travel to Montenegro, you have come to the right place. The World Bank classifies Montenegro as having an upper middle-income economy. It is a member of major international organizations such as UN, World Trade Organization and the Council of Europe, to name a few. It is also currently a candidate to join the European Union and NATO. Tourism is a thriving industry in Montenegro. Its picturesque coast and a beautiful mountainous region combine to offering tourists with a wide range of sights to see and things to do. The country has been frequented by tourists since the 1980s. Because of this, the government has doubled their efforts to promote Montenegro as an elite tourist destination in Europe to reinforce its economy. The recorded history of Montenegro can be traced back to the Middle Ages. During this time, Montenegro was known as the Roman province of Dalmatia. By the 9th century, Montenegro consisted of 3 municipalities: Duklja, Travunia, and Rascia. A revolt that took place in 1042 under the leadership of Stefan Vojislav helped to make Duklja independent. Consequently, the dynasty of Vojislavljevic was established. When it was time for Bojislav’s son to take reign of the Dujlka municipality, that is when the territory reached its zenith. Over the next few centuries, the rule of the municipalities of Montenegro came under the hands of a number of rulers. A huge portion of control fell under the Ottoman Empire that started in the late 15th century and lasted until the late 19th century. Some parts of Montenegro was also under the rule of Venice. 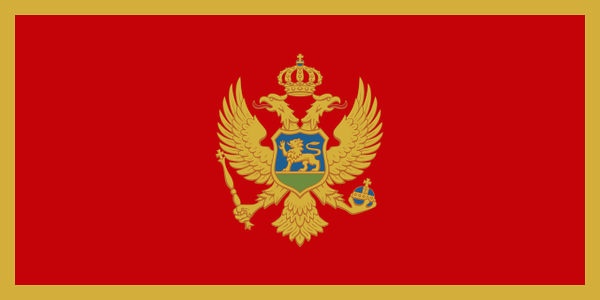 As of 1918, Montenegro was considered a part of Yugoslavia. But by May 2006, as per the independence referendum, Montenegro was declared independent. The country officially reached its independence on June 3, 2006. Connectivity: Wi-Fi internet access is only becoming more prevalent in Montenegro recently. The standard Wi-Fi speed is estimated at around 7 Mbps; however, the introduction of fiber optics to internet users can offer a speed up to 40 Mbps. You can also buy a local SIM card as roaming rates can be quite steep in Europe. Since Montenegro is covered by the Balkan roaming zone (along with Bosnia Herzegovina, Macedonia, and Serbia). There is a cap of 0.20 € per MB for data roaming in this zone. International Airport/s: The main international airports in Montenegro are Podgorica Airport and Tivat Airport. You have to book flights through these airports to travel to Montenegro. You can also book international flights via Airport of Cilipi in Dubrovnik, Croatia. Visa Required: The same visa policy for the Schengen area is also followed in Montenegro. A few countries had been granted visa-free entry to travel to Montenegro such as the following: Russia, Peru, Turkey, Ukraine, Belarus, Kosovo, Costa Rica, Ecuador and Azerbaijan. Meanwhile, those who are granted a visa can travel for up to 90 days only. International Driver’s License Accepted? Officially, you can use your driver’s license to drive in Montenegro. However, it might be necessary to obtain an international driver’s license as some rental car companies require it. Crime: The level of crime in Montenegro is rated as moderate. Although crime rate has been low in Montenegro for the most part, it has increased over the past 3 years. Common crimes are non-violent in nature, however, but are categorized as robbing and theft. Organized crimes and human trafficking is a serious concern in the country though. Electrical Adapters: In Montenegro, they use an electrical voltage of 220 volts at an electrical frequency of 50 Hertz. Rail: Train travel in Montenegro is considered as one of the best ways to get around the country. It also brings one of the most scenic train journeys in Europe. A railway line connects Bar to Belgrade. It is also part of the European railway network. Hence, you can travel via train to not only get to other parts of Montenegro, but also in other countries in Europe. Car Travel: Montenegro has an efficient travel system that makes it easy to get around by bus. However, renting a car is recommended if you want to enjoy flexibility in terms of what you can see and where you can go. 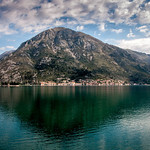 If you are in Kotor though, it is a pedestrian-friendly town so there is no need to rent a car. Trivia: Montenegro used to be a part of Yugoslavia. Hence, it is a relatively new country that gained its independence in June 2006. One of the best ways to know about a country’s culture is through its cuisine. When you travel to Montenegro, you must try out their cuisine to experience a glimpse of their history and culture as well. Most of the influence to the Montenegrin cuisine came from Turkey and Levant. Serbia also had some influence to the local cuisine of the country. As expected of the Central European cuisine, you can expect to find a variety of breads and biscuits incorporated into each meal. Other Central European staples in Montenegrin cuisine include jams, crepes, and doughnuts. In some parts of Montenegro, the Hungarian influences are also highly evident. Thus, you can find a wide variation of sataras and stews. Finally, cheese and dairy products are also used heavily in the Montenegrin cuisine. Kacamak: This is a mushy meal that is prepared using either corn flour, barley or whole wheat. It is also commonly served with cheese and milk. This is a staple in almost all restaurants in the country. Lately, there is a new variant to the dish that has been introduced into the local cuisine and it is cooked using potato. Popara: This dish involves mixing bread with various ingredients such as oil, milk and cheese. This is a cheap meal but is a huge favorite among locals. Rastan: This is another strong meal that is a staple in Montenegrin cuisine. This dish is made out of mostly vegetables, particularly those from the cabbage family. It is prepared with white potato and seasoned with various spices. Cicvara: This dish involves mixing a young cow’s cheese with flour until the grease is rendered. The dish literally melts in your mouth but at the same time best known for its high energy value. Japraci: This is a very rich dish that is famous in Montenegro. Its ingredients include dry meat, rice, pepper, among others. It is a soup based dish that has several variations depending on which region of Montenegro they are cooked from. Black Lake – This glacial lake is located near the foot of Mt. Durmitor at Zabljak. The surface of the lake sits at an elevation of 1,416 meters. The Black Lake consists of two smaller lakes namely Little Lake and Big Lake. It is a premiere tourist attraction in the municipality of Zabljak. Ostrog Monastery – This is a monastery of the Serbian orthodox church that sits on an almost vertical background. In fact, the monastery is built on a large rock of Ostroska Greda. The monastery is built for Saint Basil of Ostrog. Our Lady of the Rocks – This is one of the two islets located on the coast of the Bay of Kotor and a sought after attraction for tourists who travel to Montenegro. This artificial island was formed from rocks and sinking ships. Within this island sits the famous Church of Our Lady of the Rocks. Kotor Cathedral – This is one of two Roman Catholic cathedrals in Kotor. It also serves as the seat of the Bishop of Kotor. The cathedral features a Romanesque architectural style. It was consecrated during the 12th century and was reconstructed after it was damaged by several earthquakes. Natural and Culturo-Historical Region of Kotor – This region of Montenegro is one of the tourist favorites because it is rich in history and clture. Plus, there are many preserved buildings and historical sights that seem to have been frozen in time. Lake Piva – This reservoir is located on the northwestern region of Montenegro. It is a popular destination for river rafting and the canyons around it continue to draw in tourists. 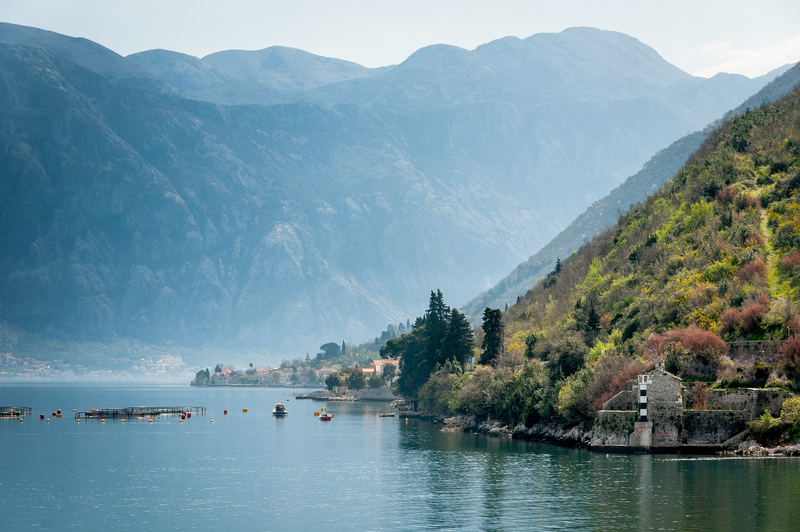 The Rough Guide to Montenegro. This guide book by Darren Longley and Rough Guides is your definitive guide for exploring Montenegro. This book provides information on the best locations, stunning photograhy, and maps. Lonely Planet Montenegro (Travel Guide). 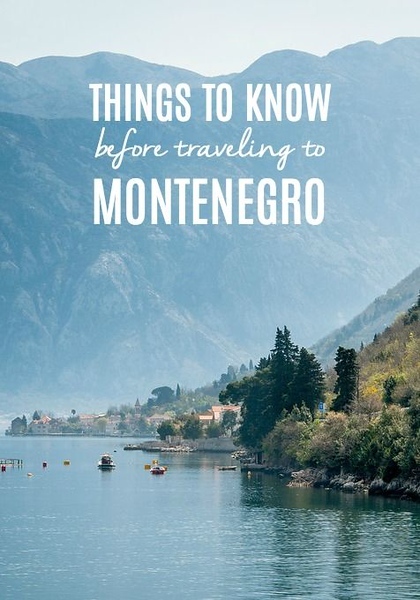 This comprehensive guide is the best guide for starters to travel in Montenegro. You can find honest reviews, insider tips, an over 23 local maps. 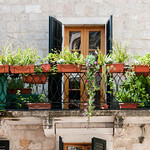 Fodor’s Croatia: with a Side Trip to Montenegro. This book by Fodor’s is written by locals wherein you can get expert advice to suit your budget and your type of adventure especially if you want to visit both Croatia and Montenegro.